Sprinkled among those names are also key players from President Trump’s 2016 digital team, including his former digital director and current campaign manager Brad Parscale, as well as several former executives of Cambridge Analytica, the now defunct consulting company, including its former CEO Alexander Nix, former business development director Brittany Kaiser, and Julian Wheatland, director of Cambridge Analytica’s parent company, SCL Group. The inclusion of these individuals and the questions asked of them suggest the committee’s keen interest in digging for connections between the Trump campaign, Russia, and WikiLeaks, which published Democratic emails that were hacked by Russian state actors during the 2016 election. One focus of the House Democrats has been what, exactly, the Trump campaign knew about WikiLeaks’ plans to publish internal emails from the Democratic National Committee and Hillary Clinton’s campaign chair John Podesta in the summer of 2016. Those questions gained new prominence last week when President Trump’s former attorney Michael Cohen testified to Congress that, in the summer of 2016, Roger Stone informed then-candidate Trump that WikiLeaks was about to publish a trove of emails that would be damaging to Clinton. (Stone was indicted earlier this year in connection with special counsel Robert Mueller’s investigation into Russian interference; he has pleaded not guilty.) Though Cambridge Analytica is best known for misappropriating the data of tens of millions of American Facebook users without their knowledge, its executives have also been frequently tied to WikiLeaks and its founder Julian Assange, who also received a document request from the committee on Monday. 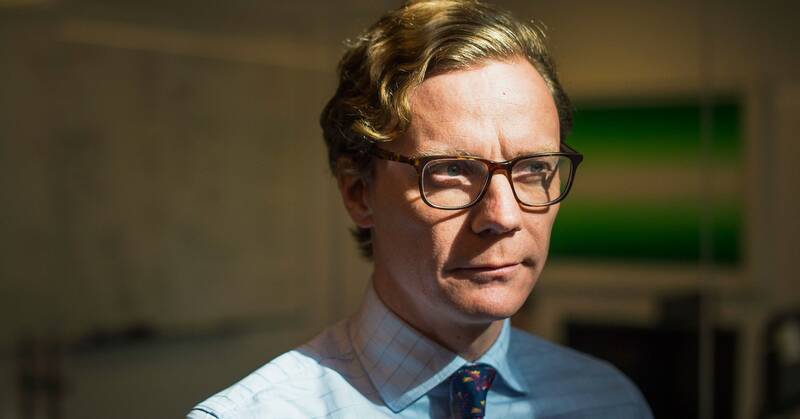 Nix, Cambridge Analytica’s former CEO, has admitted to reaching out to Assange in the summer of 2016 about accessing 33,000 of Clinton’s emails that went missing in the course of an investigation into her use of a personal email server. Assange said he rejected Nix’s offer, but that wasn’t the only point of contact between the two organizations. Another Cambridge Analytica executive, Brittany Kaiser, met with Assange in February 2017 at the Ecuadoran embassy in London. Now, the committee is seeking more information about these contacts and any other communication that Cambridge Analytica, its parent company SCL Group, and key executives may have had with WikiLeaks or with Russia. The committee is also requesting any documents related to efforts to swap campaign-related communications or data with foreign entities. The committee is asking many of the same questions of Parscale, who hired Cambridge Analytica and oversaw the campaign’s digital operation in San Antonio in 2016. Questions about how the campaign shared polling data arose earlier this year, following a redaction error in a court document filed by former Trump campaign manager Paul Manafort’s lawyers. The unredacted lines revealed that Manafort allegedly shared polling data with a Russian political consultant named Konstantin Kilimnik. Because Parscale is now Trump’s campaign manager and among the longest-tenured staffers on the Trump campaign, the committee is also seeking documents from him beyond the scope of his work as digital director in 2016. Parscale didn’t respond to WIRED’s request for comment. Both Nix and Parscale have previously spoken with the House Intelligence Committee, when Republicans held the House majority. Democrats on that committee opposed the decision to cease the investigation in March of last year. Now it’s clear that the Democratic majority in the House plans to pick up where those probes left off—and then some.